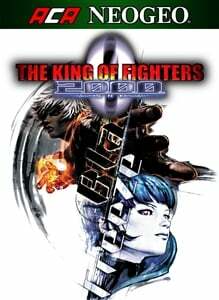 THE KING OF FIGHTERS 2000 is a fighting game released by SNK in 2000. Featuring numerous improvements from KOF '99, KOF 2000 also introduces the all-new “Active Striker” system where players can enjoy exciting striker-based battle strategies. Plenty of nostalgic characters from the SNK Universe appear as “another strikers”. The "ACA NEOGEO" series has faithfully reproduced many classic NEOGEO masterpieces. Players can change various game settings such as game difficulty, and also reproduce the atmosphere of arcade display settings at that time. Players can also compete against each other from all over the world with their high scores. Please enjoy the masterpiece that built a generation for video games. *This title is based off the MVS (NEOGEO for arcades) version. There may be differences between this version and the versions for the home NEOGEO console and other home consoles.